This past summer was amazing for DEID. All our 4 implementation project teams travelled to their corresponding communities and implemented their projects. Now they are all back at Duke safe and sound! Check out the pictures below. DEID-Brazil travelled to the community of Santo Amaro, Brazil to implement a rainwater catchment/ storage system for a therapy center and four residential houses in the community. The team constructed one 10,000-liter tank and one 3,000-liter tank, modified existing gutter systems and built pipe networks to route water into the tanks, and installed piping from the tanks to bring water to the toilets of the therapy center and nearby houses. 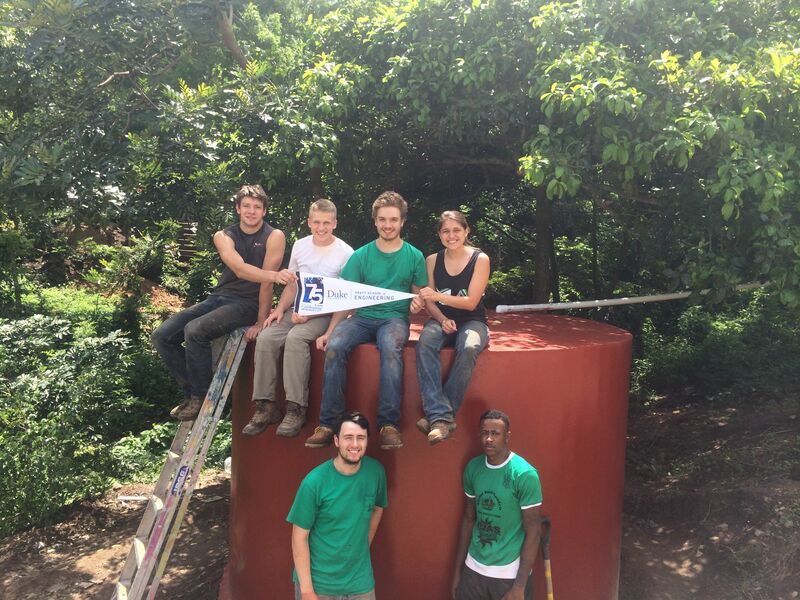 DEID-El Salvador designed and built a water storage tank, as pictured, and also a water filtration system on the way from the water source to the tank. 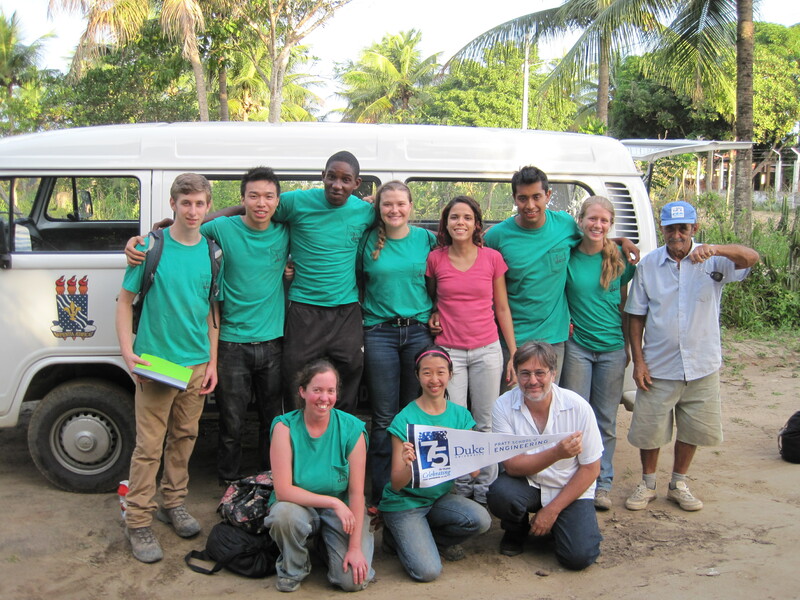 They made a huge impact on the local community by providing them with clean water! 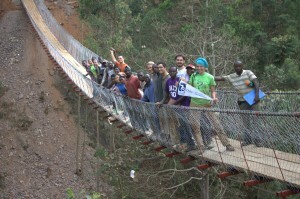 DEID-Rwanda designed and constructed a pedestrian foot bridge (as pictured) in cooperation with Bridges to Prosperity (B2P). They also participated in designing another bridge nearby after finishing the construction. DEID-Uganda travelled to the community of Kyongera, Uganda, and constructed two buildings of classrooms, storage rooms, etc for a local vocational school. The first building was built up to roof level and the second 7-8 levels of bricks above ground. The local workers will finish them as soon as possible. Once finished, the buildings will benefit the entire vocational school, which is very likely to expand over the next few years. As in all the pictures, we help celebrated the 75th anniversary of Pratt School of Engineering at Duke University! To make it even better, DEID as an organization is also celebrating its 10th year! Congratulations to both Pratt and DEID, and we hope to have more impactful and meaningful projects next summer! Next Post Check out our Photos!